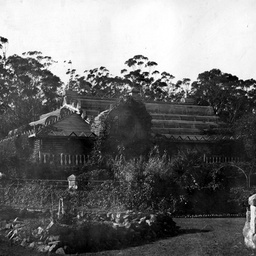 Family home in Surry Hills, Sydney or in Carlton, Melbourne, courtesy of Chinese Museum (Museum of Chinese Australian History). 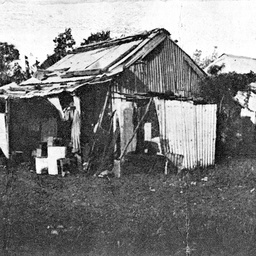 House in De Carle St., Moreland, Victoria, 1919, courtesy of Chinese Museum (Museum of Chinese Australian History). Side of house, next to 5 Oliver St, Inverell, courtesy of M. Mar (private hands). 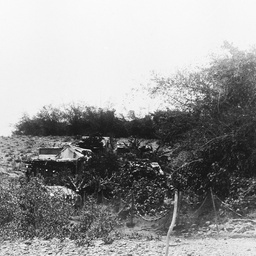 The Ah Moon family home at 19 Echlin Street, West End, Townsville. 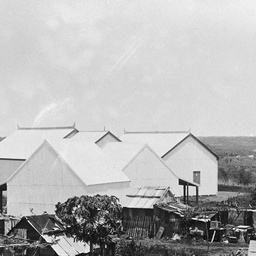 (ca 1920's), 1920s, courtesy of Chinese Museum (Museum of Chinese Australian History). 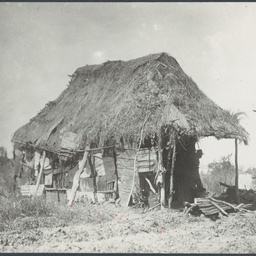 Blind Tommy’s hut (Chinese) [picture], c. 1914 - c. 1941, by Carroll, James, 23 Etnam, West Preston, courtesy of State Library of Victoria - Picture Collection. 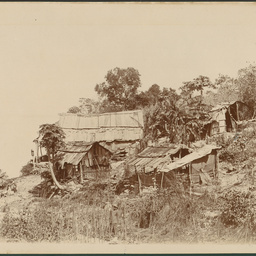 Children sitting on table with vegetables outside bark hut, with Chinese calligraphy, Stanthorpe, 1875, courtesy of University of Queensland library - Fryer Library. 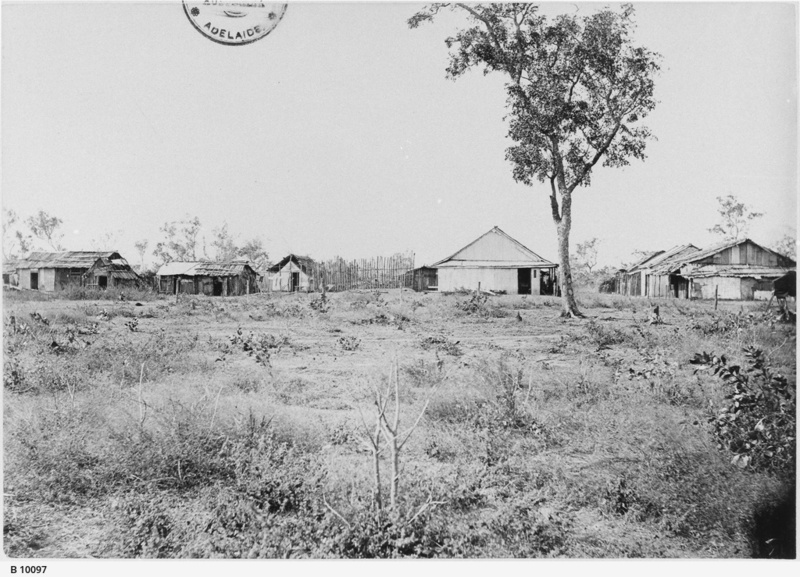 Alley, c. June 1913, courtesy of Northern Territory Library. 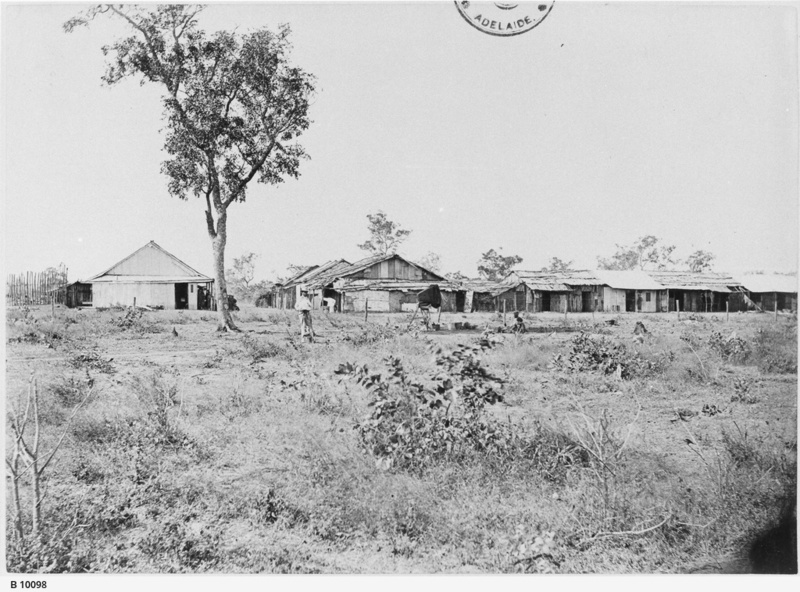 Chinatown, Darwin, 1930 - 1939, courtesy of Northern Territory Library. 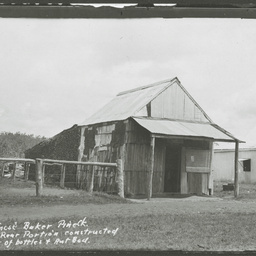 Chinese Baker, Pine Creek, c. 1913, courtesy of State Library of South Australia. Australia - New South Wales - Sydney? Barry Lane, Little Bourke Street, near Elizabeth Street. 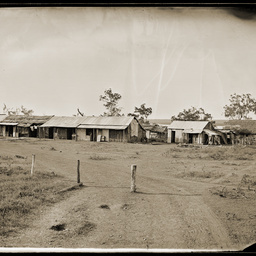 Australia - New South Wales - Home Rule? Australia - New South Wales? Australia - Northern Territory - Darwin (Palmerston) - Cavenagh Street?